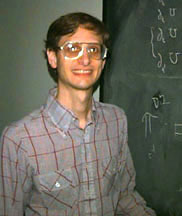 Todd Arbogast's areas of expertise include the numerical analysis of partial differential systems, mathematical modeling, and scientific computation. His research includes the development of a characteristics-mixed scheme for advective flow, the study of cell-centered finite differences (mixed methods) for nonlinear and geometrically irregular problems, the modeling and simulation of flow through fractured and vuggy media, and numerical subgrid upscaling of heterogeneous media and nonlinear problems. He is a member of the Institute for Computational Engineering and Sciences and its Center for Subsurface Modeling at The University of Texas at Austin, and an associated faculty in the Division of Statistics and Scientific Computation.